Good feedback is good to hear. We work hard. Customers' needs change by the hour. Our offices are busy. The risk is falling into tunnel vision. So entering into industry awards schemes is a way of lifting our head up and seeing the world in slightly wider perspective. They give us objective feedback and push us to keep evolving. And, yes, it feels great to become an award-winning letting agent, although we realise that our customers care more about good service and results than about any industry recognition we gain. "Do unhappy staff deliver good service? No, and that is why 'employee engagement' is critical to our success. We are delighted to be assessed as a 1 Star Best Company to Work For and we are focused on delivering the unique Finders Keepers blend of professionalism and results that our customers expect." tenancy turnarounds and extremely low void periods. 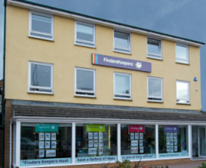 The directors at Finders Keepers believe that their business is not about low fees but providing good service through excellent and diligent staff. Their retention rates, managed occupancy percentage and arrears rates are all proof that this approach works. Well done." "Finders Keepers has impressive knowledge and is extremely passionate about the industry as a whole. Processes are subject to tight controls however the team is given autonomy and freedom to make decisions. Extremely low dispute rates, 99% rent collection and an occupancy rate of 99.2% proves they are doing a great job." "The team is very communicative and whilst they recognise the importance of engaging with the students, they also understand the importance of building strong relationships with parents. From the outset they manage the process to reassure all parties and to ensure everyone is aware of their obligations with regard to the legalities of lettings, as often it is the parents and students' first experience of renting." We believe that people matter in this business. Skills matter, experience matters and, most importantly, attitude matters. That is why we are delighted to be a 'One to Watch 2014' in the Sunday Times Best Companies to Work For survey. "Letting agents tend to obsess about marketing and touting and pricing," says Dan Channer, Managing Director, "But ultimately, in a service business your people are your competitive advantage. We are pleased with the Best Companies results and they give us clear direction on how we can continue to improve." The website is as much a resource for the local area as it is a property search tool." "Finders Keepers demonstrate an attention to detail which enables them to work with high quality tenants and landlords…Clients are assured they can reach a representative of Finders Keepers at all times (including midnight on New Year's Eve)....The detail on the check-out notes was impressive and clients are allocated a designated property manager enabling all involved to build a strong relationship and enjoy exemplary communication."